Home / NEWS / How to Deal with Spinal Cord Compression? Any condition that puts pressure on the spine can cause spinal cord compression. Spinal cord comprises of nerves that carries messages back and forth from the brain to the muscles and the rest of the body. This bundle of nerves is protected by the backbone. The backbone comprises of small bones called vertebrae that are stacked on top of each other. 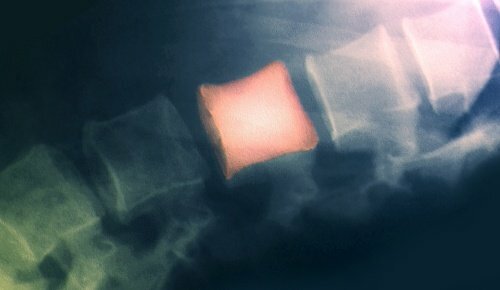 The bones are supported in between by soft cushion-like structures called the spinal discs, which are fluid filled sacks to ease movement, provide flexibility and reduce friction. Small nerves branch off from the main bundle and travel through the openings between the vertebrae and out to the muscles. Spinal cord compression can occur anywhere along the backbone. It can involve the neck, the upper, middle or the lower back. It depends on the location of the collapsed/ compressed vertebrae. The number of vertebrae involved can also vary. One of the most common causes include the gradual wear and tear of the bones of the spine due to aging. People above the age of 50 years usually develop compression due to this reason. Depending on the cause, spinal cord compression may appear suddenly or develop gradually over time. Injuries may cause sudden symptoms, infections or tumors may take days or weeks, and spinal compression due to aging may take years. First and foremost, learn as much as you can about your condition. Take an active role in your treatment and work closely with your healthcare providers. Maintain a healthy weight, get regular exercise and maintain a proper posture by practicing good body mechanics to keep your back as healthy as possible. To reduce the pain, use simple home remedies like using ice or applying warmth. A good massage, or a long hot shower are also helpful in reducing the pain. If you are experiencing back pain that is worsening and doesn’t improve with treatment or home remedies, visit your doctor. Also if you experience any injury that has hurt your back, or have the more severe symptoms like loss of bladder control, loss of sexual ability, foot drop or difficulty in performing your day to day activities, it is recommended that you take help from a healthcare professional. These tests are done to look for an underlying cause and pinpoint the exact location of the compression. These are also helpful in informing us about the severity of the problem. How to prevent Spinal Compression? Spinal Compression may not always be preventable, but taking certain measures can reduce the risk of developing this problem. After all, prevention is always better than the cure. Regular exercise and stretches. Exercise strengthens the muscles, which helps support the back and keeps the spine flexible. Maintain a good posture when sitting, sleeping or lifting up heavy objects. Sleep on a firm mattress and sit on a chair which mimics and supports the natural curves of the spine. Eat moderately and nutritiously, with plenty of calcium and vitamin D to maintain strong bones. Avoid being overweight and obese. Excessive weight puts stress on the spine and can contribute to developing symptoms of spinal compression. Spinal cord compression is caused by any condition that puts stress on the spine. Symptoms usually involve back pain, weakness or numbness, which can be present in the arms, hands, legs or feet. The symptoms can be gradual or sudden depending on the cause. It can be treated at home with applying heat or cold, having a massage or a hot shower. It can also be treated with pain medicines, or physical therapy. Surgery is only done in severe cases and as a last resort. Based on patented Backrack technology, this spinal decompression device is designed for home use to help you treat all forms of back pain, safely without supervision in the comfort of your home. Click here to find more details.